Score Group’s Conrad Ritchie is the latest winner of the annual Grampian Industrialist of the Year. 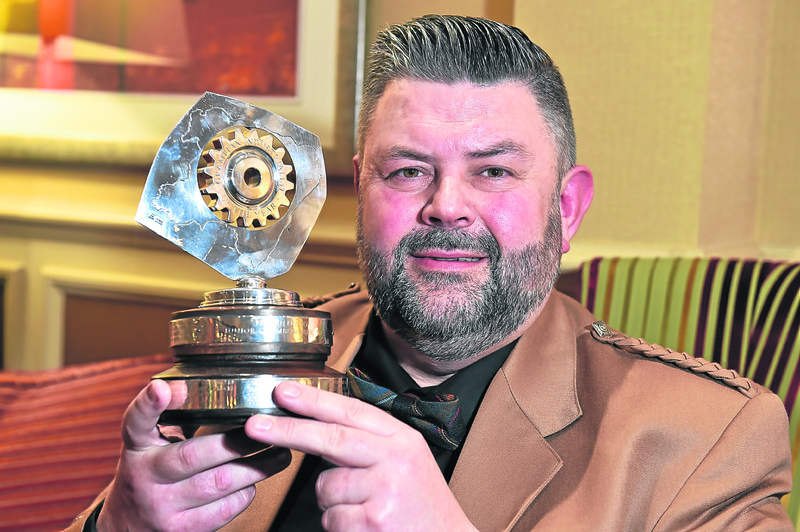 The honour came at a black-tie dinner attended by guests at the Marriot Hotel in Dyce on Saturday night. Mr Ritchie, managing director of Score International, adds his name to a prestigious list of past winners. The title is awarded by Junior Chamber International (JCI) Aberdeen and recognises outstanding entrepreneurs in the region. He said: “It was a real honour to win this award, a humbling experience which will encourage me to ensure that our companies’ corporate social responsibility continues to offer opportunity, value and vision to all stakeholders. The award was created almost 40 years ago to recognise the innovation and professional development happening in the area and to help highlight an individual that shows first-class leadership in their industry. Past winners include James Milne, Martin Gilbert and Sir Iain Wood.